I promised a friend I would post this recipe, so here it is. One thing I didn’t know is that juniper berries can be harvested all year round. I thought this might be the case, as they take 2-3 years to mature, but had no confirmation. Obviously berries of all ripeness would be on the same bush at the same time, throughout the year. So get on your boots, and head out the door! Remember, the green berries are unripe. It’s the blue ones that are mature. Once washed and dried they will turn the dark colour you’re after. Alternatively purchase them at the store. 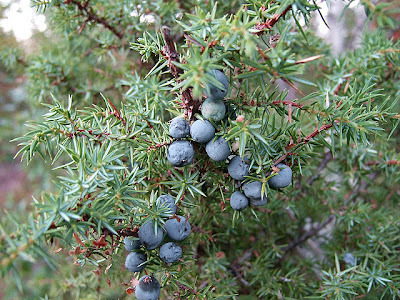 Throughout the centuries, juniper berries have been widely used in medicinal preparations; as a spice, game seasoning, moth repellent and air freshener; in jam and tea; and to make gin. 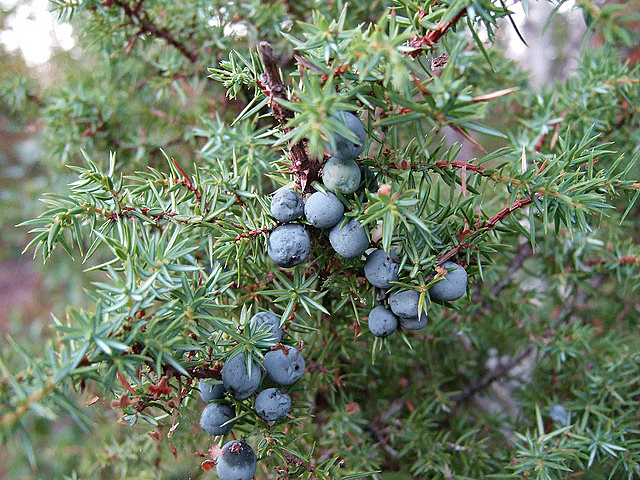 Today, a resurgence of interest in juniper berries has erupted, focused on herbal medicine. Massage oils also commonly contain juniper berries to promote a feeling of relaxation. The berries form on small evergreen trees year round and can be harvested all year. Only female trees produce the berries. After harvesting, place the juniper berries in a colander and rinse with warm, soapy water. Wash the soap from the berries with cold water. Spread the berries in a single layer on a metal sheet and place in a sunny window. Let the berries naturally dry in the sun until they are shriveled and look like a tiny raisin. You can store the dried berries in the dark in an air-tight container or zip-top bag for up to one year. Rinse the juniper berries and allow to dry. Put the whole berries into a clean glass jar with tight-fitting lid. Heat 1 tbsp honey to liquid stage, if not already liquid. Mix with the vodka. Add both to to the juniper berries. Steep for 14 days in a dark place at room temperature (18-20°C, 64-68°F). Shake gently and taste from time to time to attain the level of juniper infusion you wish. Strain and filter the schnapps into a clean glass bottle or jar. Allow to age for at least one month in a dark place at room temperature before serving. After some time you will notice essential oil on the surface of your schnapps. 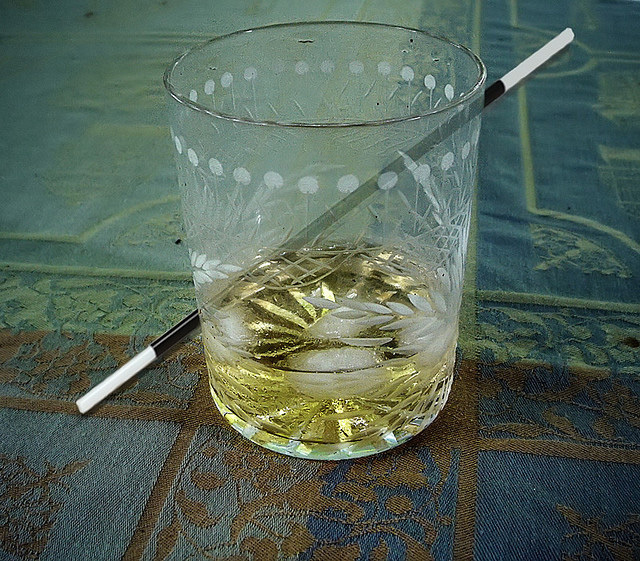 That´s quite normal and the way it should be – just shake the bottle before use.